More comfortable than your standard issue Bat-suit, this one comes in the form of a cozy zip-up Batgirl hoodie. 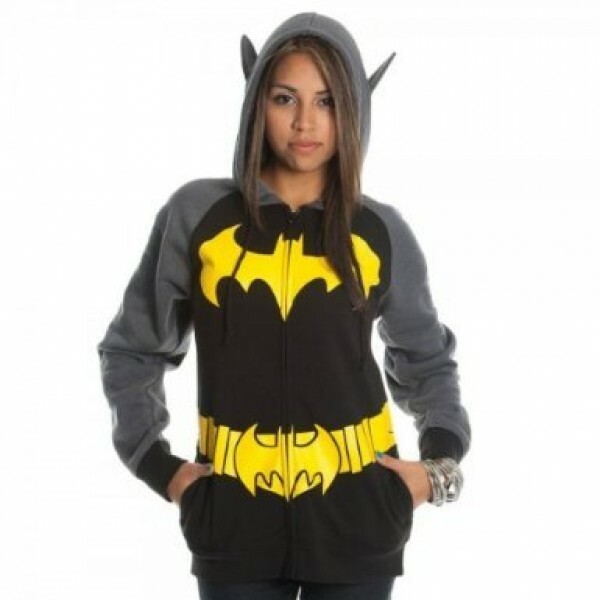 It still features the design you know and love, complete with bat ears on the hood, but it's fleecy and warm on the inside and it zips up the front. Available in juniors sizes small (US size 3-5) to extra-large (US size 13).